Lea Michele (L) and Zandy Reich attend the 2019 InStyle and Warner Bros. 76th Annual Golden Globe Awards Post-Party at The Beverly Hilton Hotel on Jan. 6, 2019 in Beverly Hills, California. Lea Michele has officially tied the knot. 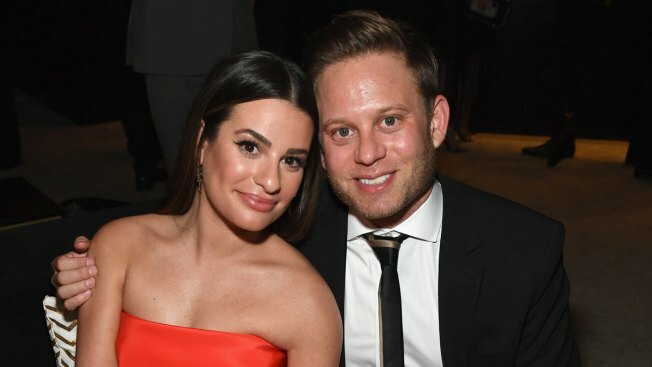 The 'Glee' alum wed beau Zandy Reich in front of close friends and family on Saturday in Napa, California, People reported. The couple told People, "We are so excited to be married and grateful to be surrounded by our friends and family. And most of all, we're so happy to spend the rest of our lives together." The news comes one month after Michele took a trip to Hawaii for her bachelorette party with Emma Roberts, Jamie-Lynn Sigler and JoAnna Garcia Swisher. Michele and Reich first went public with their relationship in July 2017. The couple confirmed their romance while holding hands in New York City. "They have been friends for a while and started dating recently," a source told E! News at the time. For Michele, Reich was someone outside of the entertainment business. He graduated with a bachelor's degree in economics from the University of Pennsylvania and also attended UPenn's Wharton School of Business. In April 2018, the 32-year-old actress confirmed her engagement to Reich, president of clothing brand AYR. Sharing a photo of her ring, Michele captioned the diamond shot, "Yes."